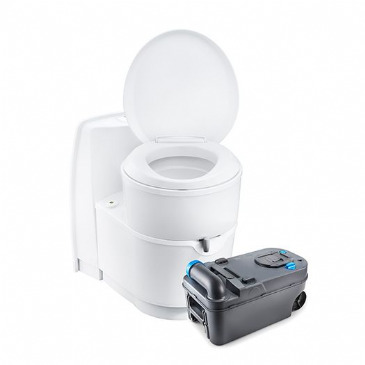 This cassette toilet with its high-quality, scratch-resistant ceramic inlay and 7 l integrated flush tank is designed with recreational vehicles and lifestyles in mind. 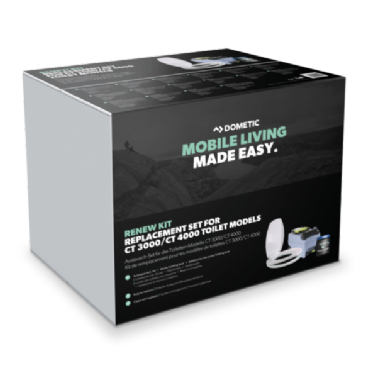 Revitalise your Dometic CT 3000 and 4000 toilet series with this easy to change replacement set. SPECIFIC DESIGN CT 3000 AND 4000. HYGIENIC AND CLEAN. REVITALISE. New caddy 19 litre tank with sturdy double-strut telescopic handle and large, easy-running wheels for convenient transport to the disposal area. Pivoting spout facilitates tank discharge. Thetford Aqua Magic high, hooks up to the central water tank of the vehicle and utilises the waste tank located beneath or on the floor. Thetford Aqua Magic Low, hooks up to the central water tank of the vehicle and utilises the waste tank located beneath or on the floor. Elegant lightweight design. All plastic RV Toilet. Bravura's elegance can be found in its sweeping lines and attention to detail including: Large and convenient single-pedal flush, universal floor flange, attractive stying that's easy to clean, pulsating flush provides superior, near instantaneuous full-bowl washdown, front shroud pulls off for easy access to mounting bolts and pedal mechanism, taller for a built-in higher comfort level, easy-off seat and cover pod for easy cleaning and service. 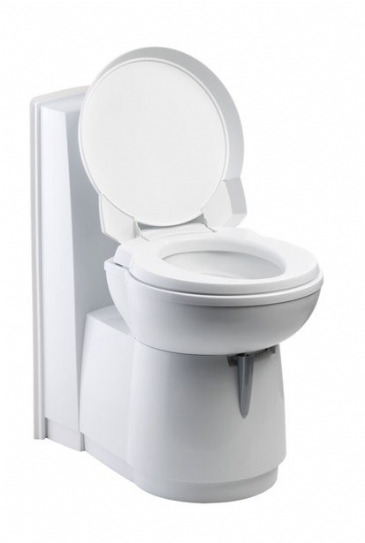 For maximum comfort without losing space, the toilet bowl revolves 180 degrees on the base; simply press down on the seat and the bowl locks into place. 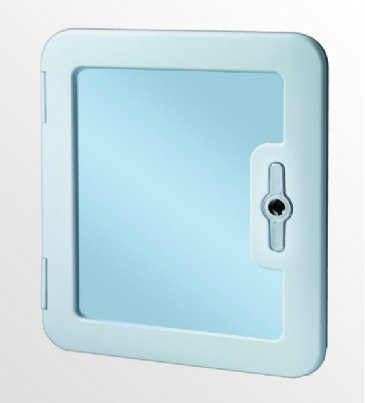 The C200 model can be installed as a freestanding unit against any wall with suitable access to the waste tank. 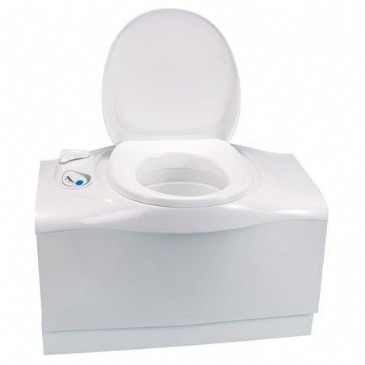 Complete waste holding tank for use with the C220 series toilets. 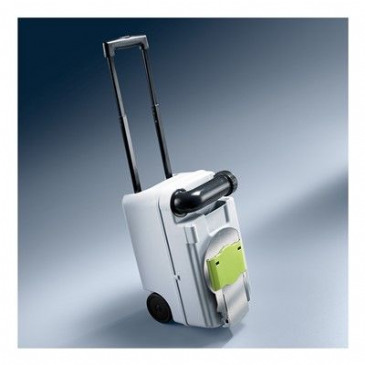 Includes wheels and a pull-out handle. 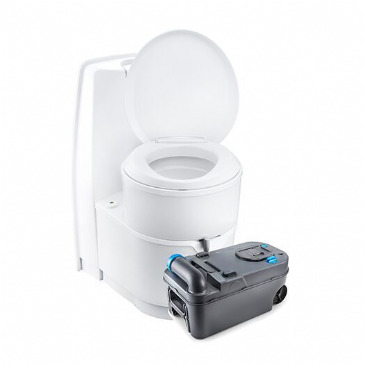 The built-in Cassette Toilet consists of two parts: a permanently installed toilet and a removable waste-holding tank. A clever indicator lets you know when the tank needs to be emptied, and you can access and remove the tank through a small door on the outside of the vehicle. 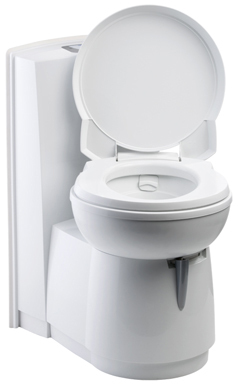 The Thetford C223 consists of two parts: a permanently installed toilet and a removable waste-holding tank. A useful indicator lets you know when the tank needs to be emptied, and you can access and remove the tank through a small door on the outside of the motorhome, campervan or caravan. The built-in Cassette Toilet consists of two parts: a permanently installed toilet and a removable waste-holding tank. A clever indicator lets you know when the tank needs to be emptied, and you can access and remove the tank through a small door on the outside of the vehicle. 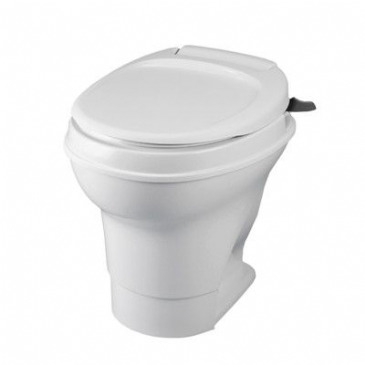 The C224-CW is a totally self contained toilet with its own integrated flush water tank. 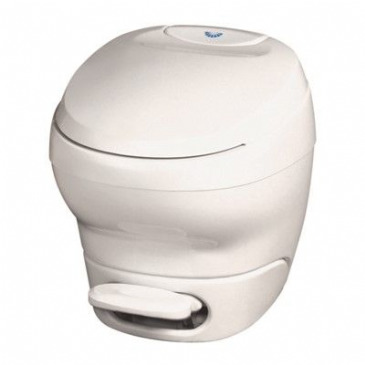 The C250 Cassette Toilet is the ultimate sanitary solution for your caravan or camper. With its contemporary design, the C250 has several exciting new and improved features. The Service Door 3 comes included! User-friendly control panel. Waste-holding tank level indicator. 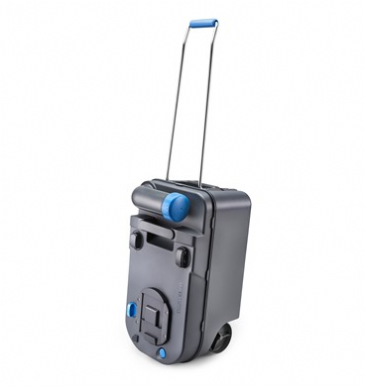 Waste-holding tank with integrated wheels and with easy pull-out handle. Extra volume waste holding tank (17.5 litres). Vent plunger for emptying without splashing. Automatic pressure release vent prevents build-up of gases in the waste holding tank. In-built emptying spout: no fiddling about with loose parts. Its removable waste-holding tank makes it the ultimate sanitary solution for your caravan or motor home. Don’t settle for less and get the best. 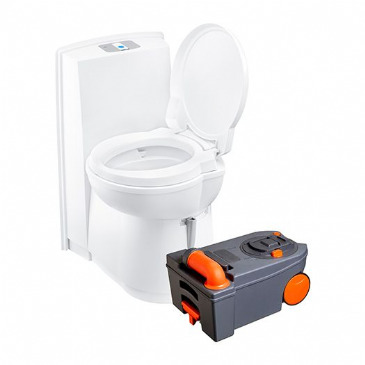 The built-in Cassette Toilet consists of two parts: a permanently installed toilet and a removable waste-holding tank. A clever indicator lets you know when the tank needs to be emptied, and you can access and remove the tank through a small door on the outside of the vehicle. The C263-S is designed to drawn its flushing water from an onboard water tank. 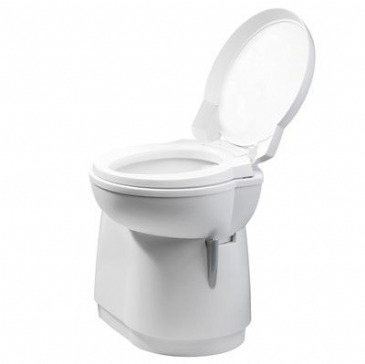 A holding tank with wheels and a convenient retractible handle are just two for the features of this built-in bench style model of toilet from Thetford. The working mechanism in the holding tank is removable so the inside of the tank is easy to clean and maintain. 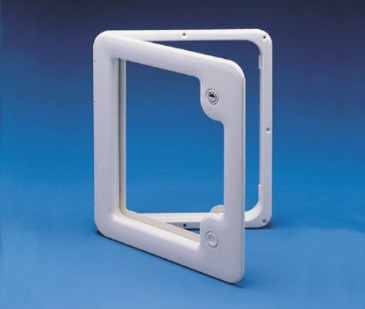 Service Door 3 is a compact, general door, standard door for Cassette Toilets. With Thetford Service Doors, you can create extra and easy access to certain areas in your caravan or motor home. All models are produced using high-grade, lightweight plastics, making them extremely durable. New Fresh Up Kit from Thetford to freshen up either a C2, C3 or C4 Toilet. Now features a handle and intergrated wheels for eaisier emptying. Kit contains, seat and lid, new waste tank with wheels, bathroom cleaning spray and cassette waste tank cleaner. Ideal replacement unit or kept as a spare. Accessories for Cassette Toilets. 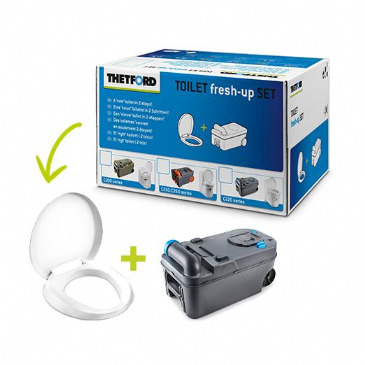 ​​​​​ The Toilet fresh-up Set is an easy and economic way to make a used Cassette Toilet as good as new.